That Phyllis Diller line came to me last week when I felt a twinge – yep, I pulled a muscle in my back. Don’t worry, folks – it only hurts when I laugh. I told the wife this and she recommended I read some of my old columns so that I wouldn’t so much as crack a smile. Thanks darling! 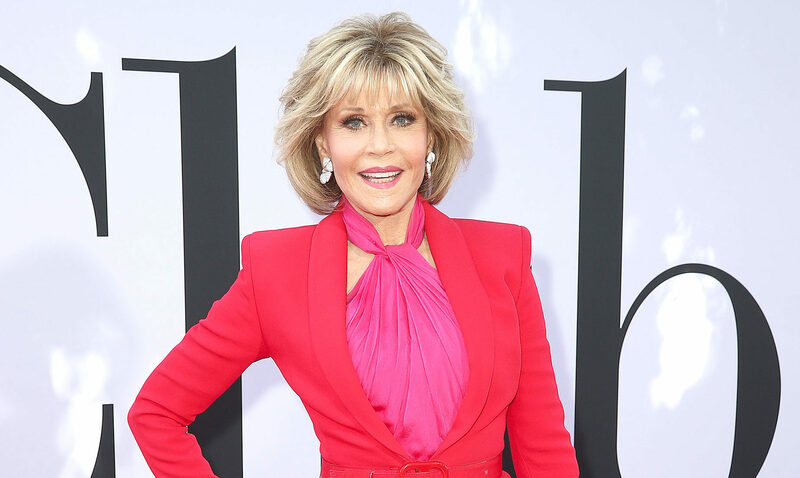 I’m not enjoying the ageing process – but Jane Fonda certainly looks like she is. I’m a little jealous of her. She’s in her eighties and doesn’t seem to be troubled by anything like back pain. Last week, she said plastic surgery had given her a decade but from the looks of her it might be closer to 20 years. What’s your secret, Jane? And do you have anything for a sore back? Since I last wrote I’ve had dinner with Gary Barlow and I’ve been in Hawaii covering Hurricane Lane. I got back last week just in time to catch up with another old pal, Nigel Lythgoe. He took me in to see his top-rated show So You Think You Can Dance. His nickname on the show is Nasty Nigel but he’s actually a very nice man indeed. I loved watching his show but what happened next was just amazing. We went for dinner in Beverly Hills to a jazz club called Vibrato which is owned by legendary musician Herb Alpert. What followed was amazing. Herb is now 83 but played for over an hour alongside his wife, the incredible singer Lani Hall. All the hits were played like never before, and after the show I took my chance to meet the couple. As well as being a trumpet virtuoso, Herb also heads up the record label A&M and he told me a wonderful story of signing a group that all other labels had turned down…The Carpenters. Herb told me that he loved Karen’s voice but she thought she was just a good drummer. They needed a great track, and legendary songwriter Burt Bacharach had just given Herb another number to follow up the hit This Guy’s In Love With You. Herb was going to sing it but gave it to Karen and Richard Carpenter instead. That song was Close To You. I was close to Cliff last week — Cliff Richard. I’ll catch up with the pop legend in the next week or so. Stay tuned!